Rice Straw Board 4 mm is Green House Gas avoidable at 11.51 kgCO2e, altogether with safe 1 tree. 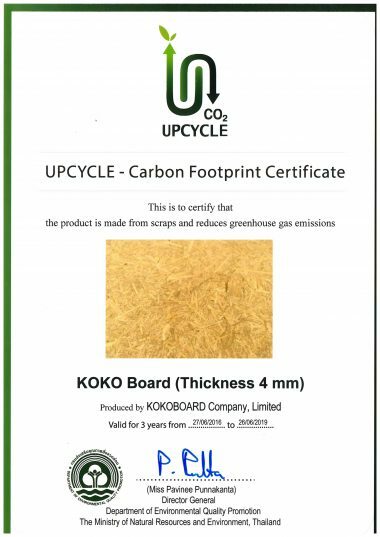 Rice Straw Board 6 mm is Green House Gas avoidable at 17.42 kgCO2e, altogether with safe 1 tree. Rice Straw Board 6 mm is Green House Gas avoidable at 29.18 กิโลกรัมคาร์บอนไดออกไซด์gCO2e, altogether with safe 2 trees.